EASY HANDLING - The set consists of a portable transmitter with a battery and 30 headphones. Within a radius of 150 m, all listeners can clearly and intelligibly receive the radio signal. 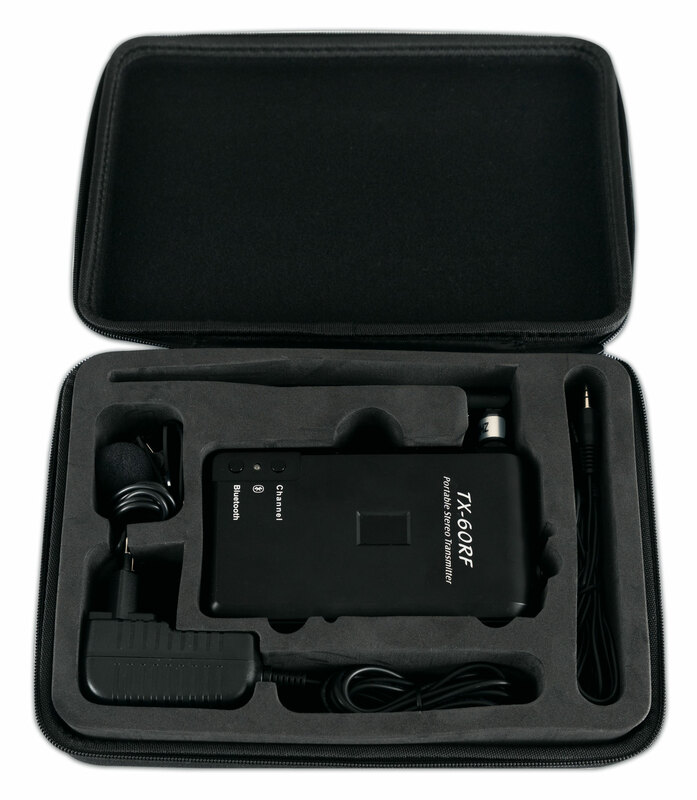 FOR SPEECH AND MUSIC - with the discreet lapel microphone you always have both hands available and can give clearly understandable explanations. In addition, background music can be added via Bluetooth or cable. 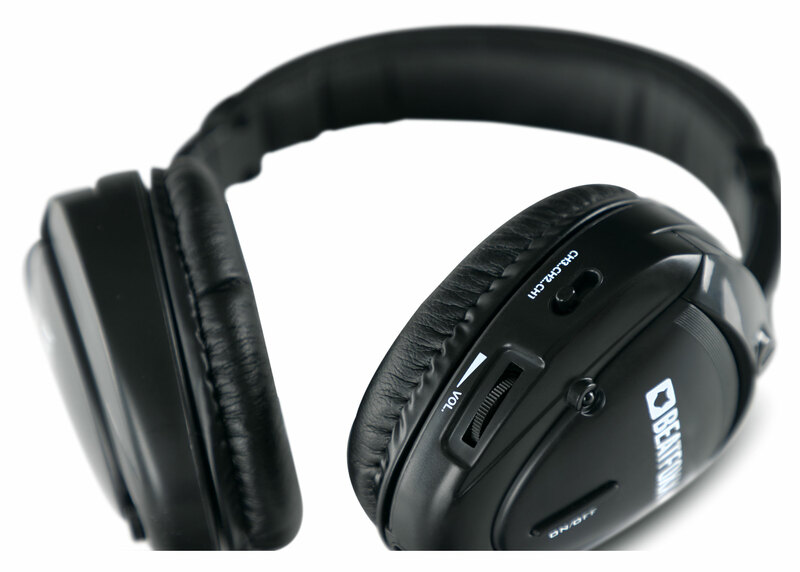 ALSO FOR LONG TRAVEL - the battery of the transmitter has a battery life of about 10 hours, while the battery-powered headphones can run for about 20 hours. EXPANDABLE AT ANY TIME - it does not matter how many participants receive the radio signal. When operating, up to 3 transmitters can be retrofitted at any time. A VARIETY OF USES - this set is ideal for city tours, sightseeing, tours, factory tours, fitness, yoga, spinning or other sporting events, museums and exhibitions, themed walks and much more. 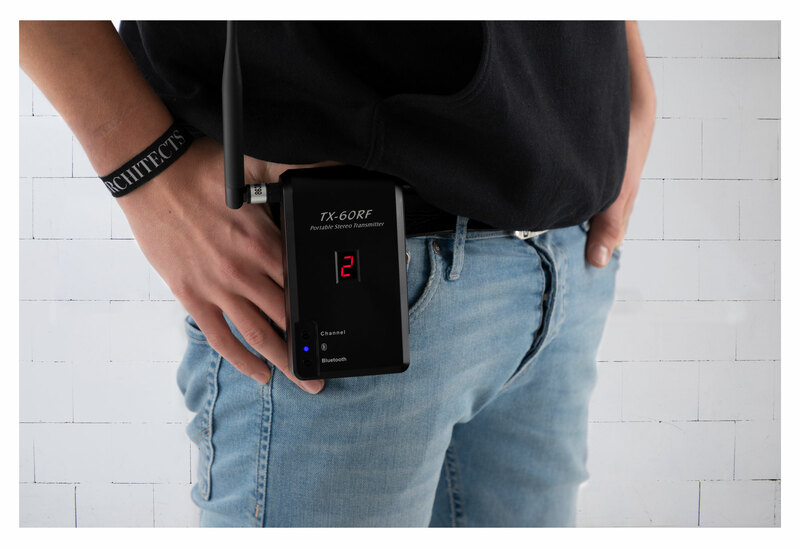 EASY HANDLING - The set consists of a portable transmitter with a battery and 15 headphones. Within a radius of 150m, all listeners can clearly and intelligibly receive the radio signal. 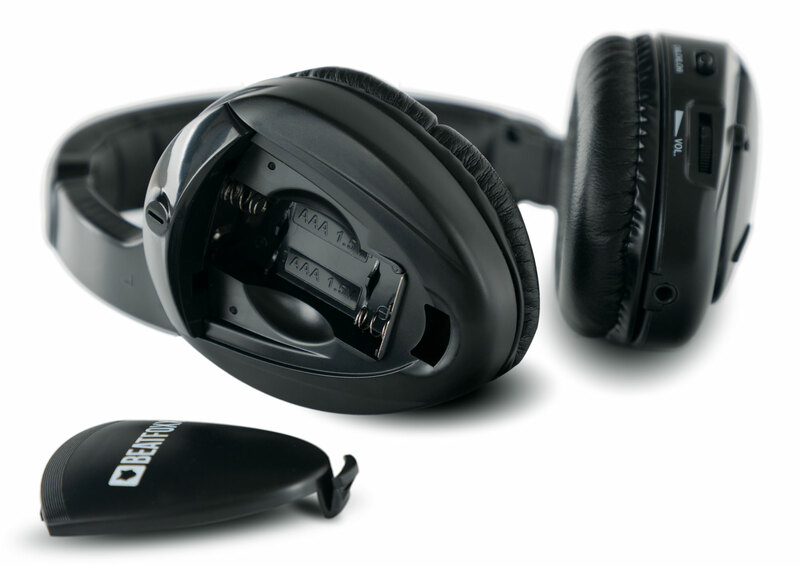 EASY HANDLING - The set consists of a portable transmitter with a battery and 50 headphones. 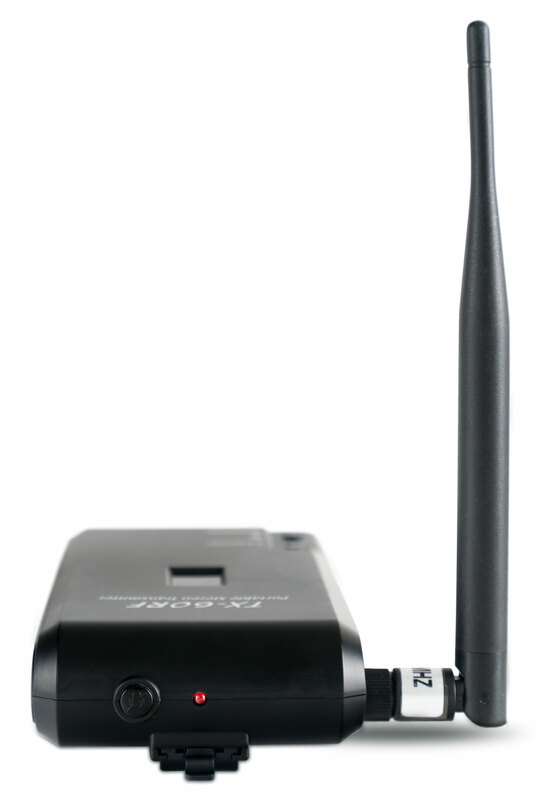 Within a radius of 150 m, all listeners can clearly and intelligibly receive the radio signal. As early as 20,22 € month financing with a maximum maturity of 72 months; total amount 1455,84 €; Bound annual borrowing rate 5,74 %, effect. APR 5,90 %. These figures are also the representative example in the sense of §. 6a paragraph 4 PAngV Agencies are exclusively by BNP Paribas S.A. Niederlassung Deutschland, Standort München: Schwanthalerstr. 31, 80336 München. Wireless passenger guidance system on the go! The Silent Guide Basic Set is designed for travel guides, museum operators or sports organizers who want to provide groups of up to 30 people with clear information or music. Even in loud environments, participants can move freely within a radius of 150 m without missing a beat. 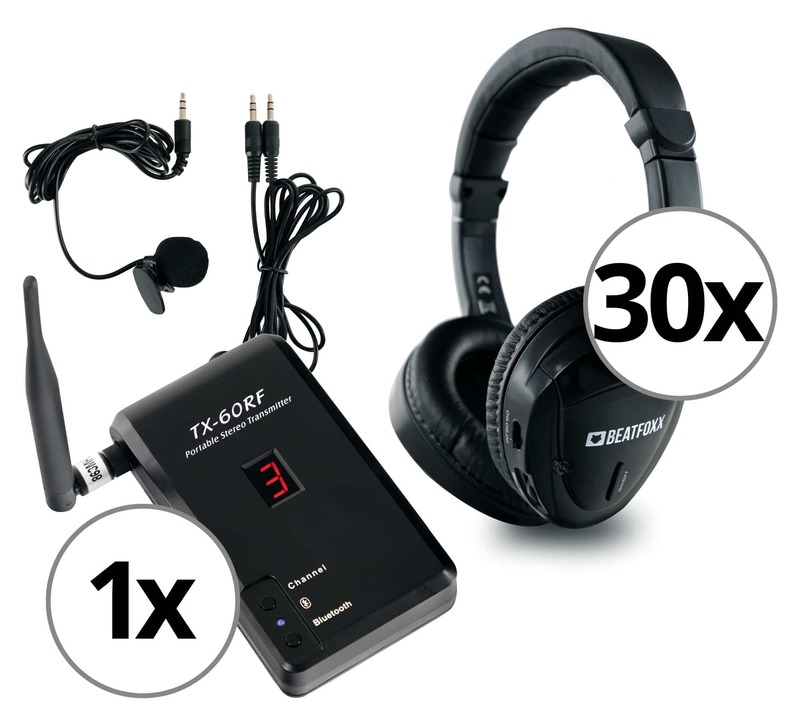 The set transmitter sends its signal to an unlimited number of headphones, so it can be used anytime and be expanded as desired. Also, up to 2 further transmitters can be retrofitted (e.g. to add guidance in additional languages). 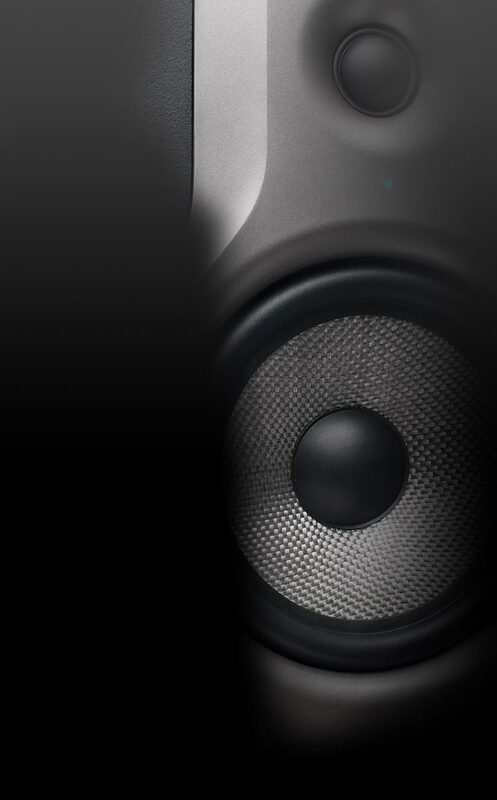 For playing pre-made audio files or adding background music, a Bluetooth receiver and an AUX input are available. 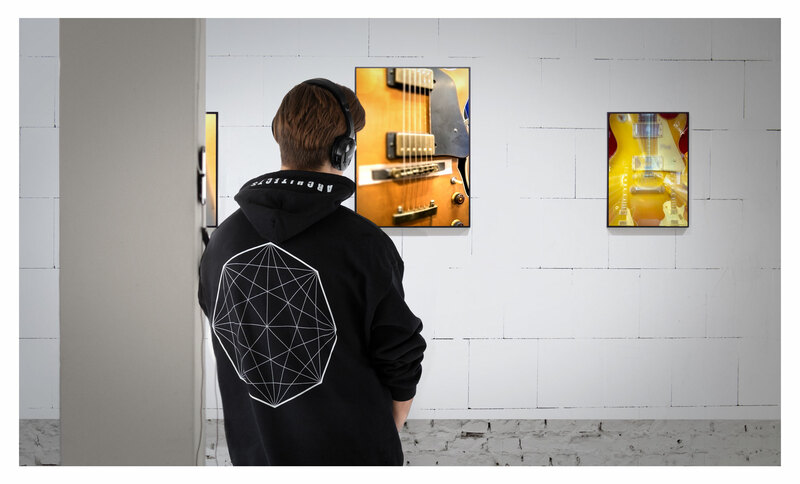 Using noise-free UHF technology, the transmitter transmits your signal at 863 MHz (license-free) to Silent Guide headphones within a range of about 150 m.
•AUDIO: The AUX input with a 3,5 mm stereo jack can become nearly any possible player. Ready-to-play audio files can be played or background music added. 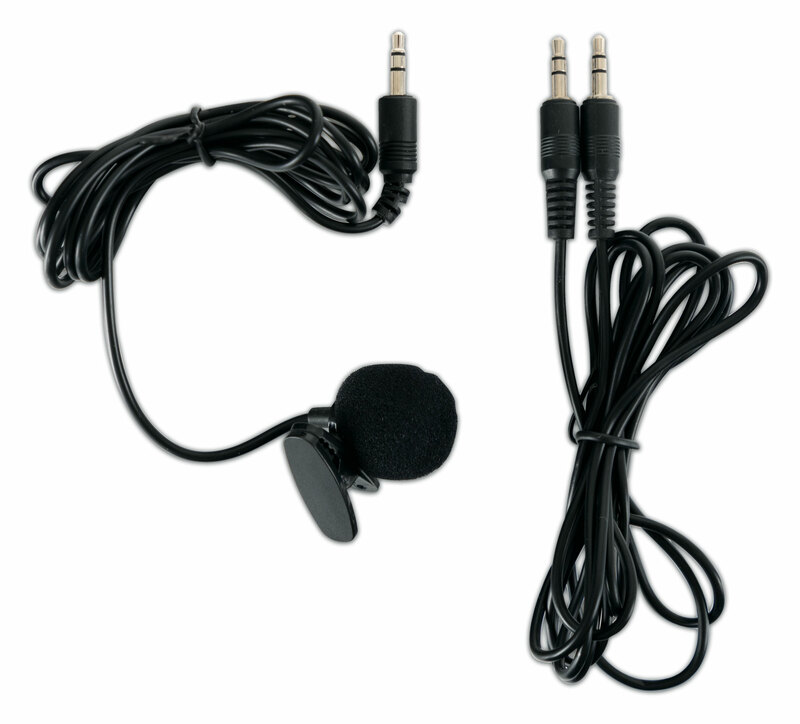 • MIC: The supplied lapel microphone is connected to the input jack to give clear and understandable explanations to the surrounding headphones. 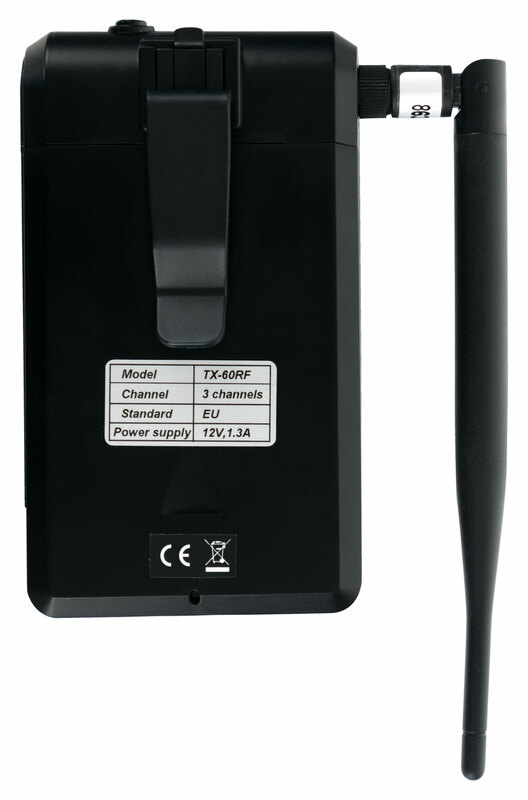 The volume of the microphone can be adjusted directly on the transmitter. •Bluetooth: The BT receiver enables completely wireless audio playback from external players such as smartphones and tablets. Ideal for city tours, museums (art) exhibitions, sporting events in groups, guided hikes, sightseeing and much more!